There is an understandable desire to want to tell stories written long ago in a more modern, relatable way by setting them in the present. The most classic books are inherently tied to the times in which they were written, bringing to light social issues embedded within their narratives. It would be unrealistic at best to presume that, despite legal advancements, the status and experience of people of color in the United States has changed as much as it should have in almost ninety years, and that’s likely one of the motivations for the making of this film. 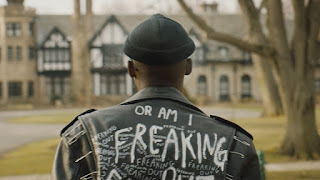 Bigger Thomas (Ashton Sanders), better known as Big, grows up in Chicago with his mother (Sanaa Lathan) and two siblings following the sudden death years earlier of his father. Though his green hair, attire, and tendency to indulge in drug use don’t indicate a level of seriousness about the direction of his life, Big goes for a job interview recommended by his mother’s boyfriend and immediately lands the gig as the driver for local real estate mogul Henry Dalton (Bill Camp). 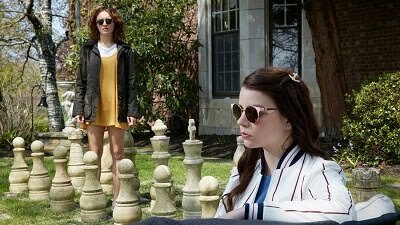 Thrust into a completely different world, Big is torn between his friends and girlfriend Bessie (Kiki Layne) and the countercultural allure of Dalton’s daughter Mary (Margaret Qualley). There is an incredible amount of apologetic racism that comes from the Dalton family members, as Mary attempts to channel a supposed rage against the system on Big and his people’s behalf and her father, unprompted, proudly champions his longstanding support for the NAACP. The 1940 novel by Richard Wright was descriptive of what it means to be black in America, and this notion of cultural appropriation and presumptions are frequently invoked in the present day. When he accompanies Mary to a symphony performance, Big, even while dressed in a suit, gets a lengthy glance from the usher that indicates tremendous judgment and doubt that he belongs there. Though it stays true to the plot direction of its source material, this film feels like it wants to be many different things at once. It could be the latest in a wave of films like “Get Out” that add horror to the everyday lives of black people just trying to get by, but it’s just as much a drama about succeeding through both perseverance and individuality. Every scene and moment feels so carefully crafted to be referenced later that the sum of the parts feels unnecessary after seeing each played out, resulting in an off-putting trajectory that gradually becomes less inviting and engaging, and present-day adaptations of 1940s-era plot points don’t work smoothly. The central character, Big, feels at first like he’s just trying to fit in and play to his audience, acting differently based on who he’s around, but then it all feels much less focused and instead becomes scattered and incoherent. There was potential here, but the way it is structured and played out proves ultimately less than satisfying.